In the State of the Union address before the US Congress on the same day, President Trump had said he would meet North Korean Leader Kim Jong-un in Vietnam on February 27-28. He did not reveal the in-country venue for the meeting. Hang said Vietnam was willing to make positive contributions in collaboration with other stakeholders for a successful US-Korea summit. She had said at a press conference last month Vietnam was "very confident" about its ability and capacity to host the summit after showcasing it by organizing major international events like APEC 2017 in Da Nang City. In an interview with Bloomberg on January 18, Prime Minister Nguyen Xuan Phuc had also said that Vietnam would be happy to host the second U.S-North Korea summit. "Vietnam has cooperated well with the US in economic development and trade relations, as well as in many other areas," he noted. A New York Times commentary by Mike Ives said Vietnam’s good relations with the U.S., North Korea and South Korea was a factor in its being chosen as the venue for the summit. It also noted that the Trump administration thinks that Vietnam is a political and economic model that North Korea can emulate. Despite being former enemies, the U.S. and Vietnam are strong trade partners, with two-way turnover increasing from $451 million in 1995 to $52 billion in 2016. Ives, who has worked in Vietnam, said Washington feels the relationship between the U.S. and North Korea can improve as it has between the U.S. and Vietnam. For North Korea, Vietnam is a comrade who has supported the country in war and at international forums. For South Korea, since the normalization of relations in 1992, Vietnam has become its fourth largest trading partner with $62.6 billion in two-way turnover, he noted. An AFP report has quoted international relations expert Le Hong Hiep of ISEAS-Yusof Ishak Research Institute in Singapore as saying "(Kim) would be interested in seeing the Vietnam story for himself, that can be a good source of inspiration and reflection for him to think about the way he should take North Korea forward." 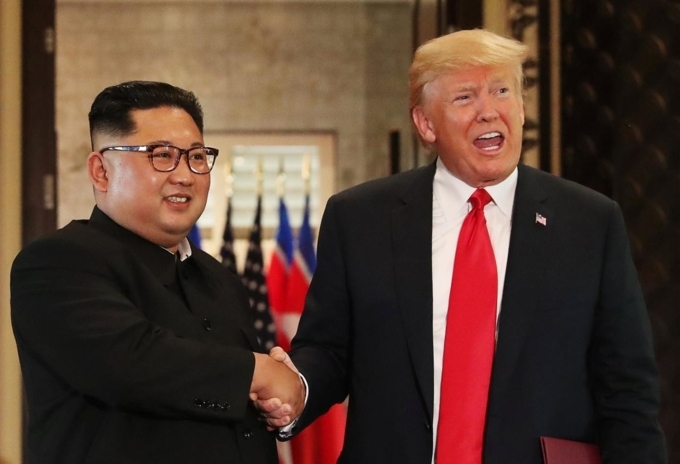 Meanwhile, the AP wire service has quoted Murray Hiebert, an expert at the Center for Strategic and International Studies in Washington, as saying similar security conditions between Vietnam and Singapore, where the first Trump-Kim summit was held, would have been a factor in the former's choice as venue for the second meeting. Hiebert said Trump had attended the APEC 2017 conference in Da Nang and was "familiar with this country as well as having good relations with Vietnamese leaders." The first Trump-Kim summit was held in Singapore in June 2018, but negotiations failed to make much headway owing to disagreements on the concept of denuclearization. Trump is hoping that the second summit will make real progress in this regard, handing him a landmark foreign policy success.